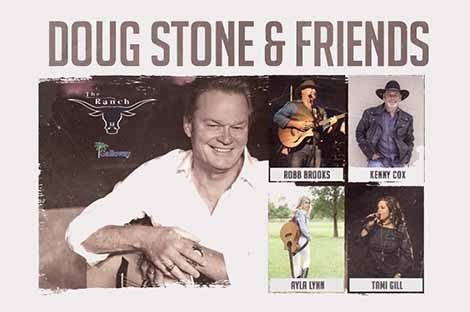 Doug Stone, a contemporary country star, found his mark in music as a lonesome baritone balladeer, although he was very adept at hard-up-tempo country. Doug began at age five learning guitar from his mother an avid singer and guitarist. At age seven he was given the opportunity, by his mother, to open for Loretta Lynn. Life presented Doug a drastic change with the divorce of his mother and father. Doug, as result, moved in with his dad. As his youthful years past, Doug played at skating rinks, local bars or any money making project to help his father make ends meet. In the daytime Doug worked as a mechanic, something else that came to him naturally.